When Ben and I got back from Hawaii, Ben missed the way his hair was after the beach so badly that he made a salt-water spray to use on his hair. I'm with him! I love that sort-of crunchy, wavy, salty hair that follows a trip to the beach. It's so difficult to achieve something that emulates that carefree hair without a billion products and a ton of bathroom time. It's akin to the no-make-up make-up look - takes more time than a make-up make-up look. My hair is so naturally smooth and straight that it doesn't play well with styling and I can load my hair up with gobs of product without seeing results. My most recent discovery in my long line of "trying to do something different with my hair that doesn't take time and I can actually do" was the John Frieda® Beach Blonde™ line. Contrary to the name, it's also for brunettes (and raven-haired ladies and red-heads too!). 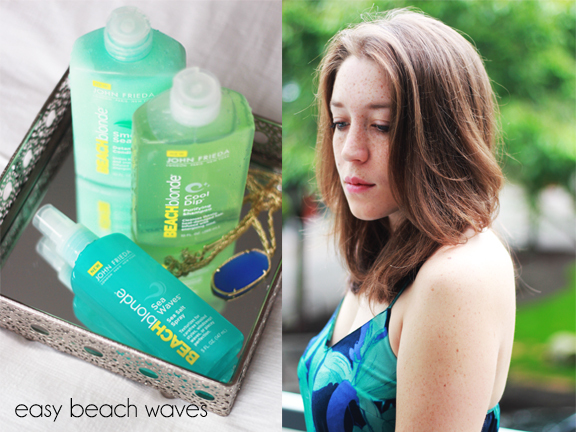 And in keeping with it's name, it provides some beachy texture to any hair-type. I used it all weekend to get some texturized waves instead of my blow-dried straight hair. One of my favorite parts of this product? The smell! Think cool mint followed by sweet coconut. Mm. Tropical it is! 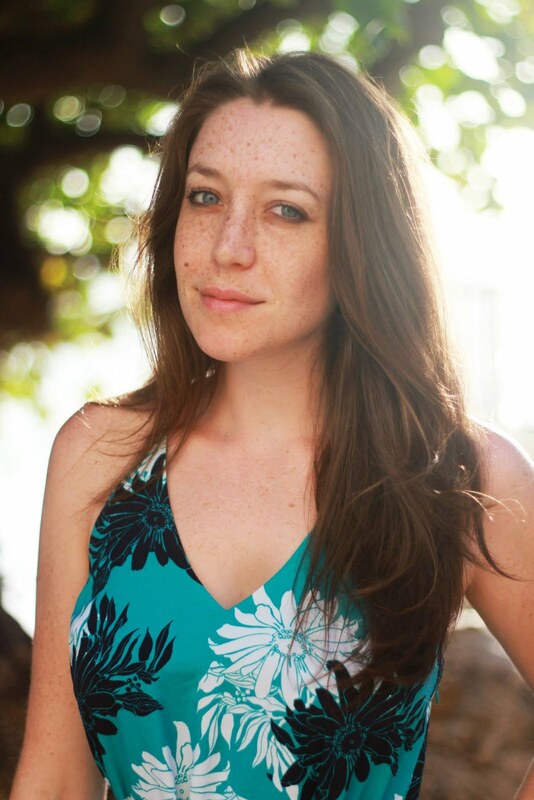 Read on for a tutorial on how to get super simple, 20-minute beach waves! 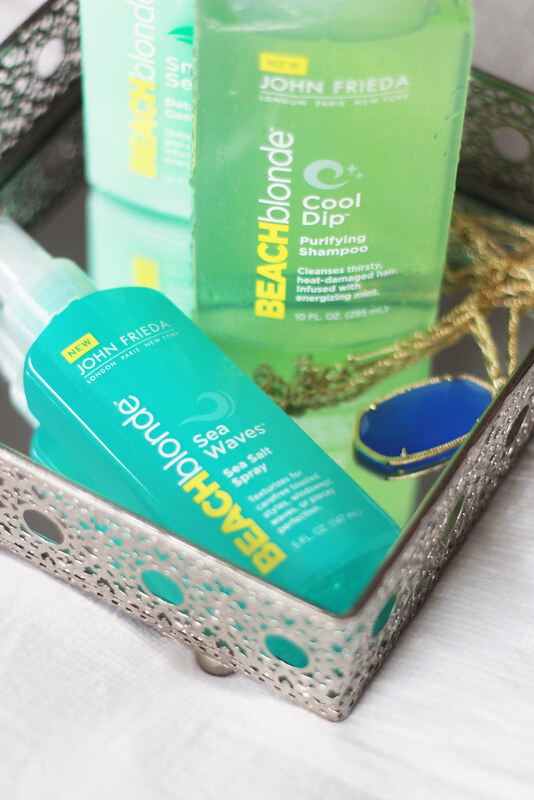 Pre-1: Wash your hair with the John Frieda® Beach Blonde™ (it's for brunette's too, don't worry) Cool Dip shampoo. Then lather up with the Smooth Seas conditioner. I picked up the entire line of Beach Blonde at Target. Emerge from the shower feeling gloriously minty. 1. Towel dry your hair and spritz your hair thoroughly with John Frieda's Sea Waves Sea Salt Spray (it smells like coconut and your significant other will chase you around thinking you have some kind of tropical treat in hand). 2. Comb your hair to evenly distribute the spray. 3. Blow dry with a diffuser to make sure you maintain that tousled, beachy look! 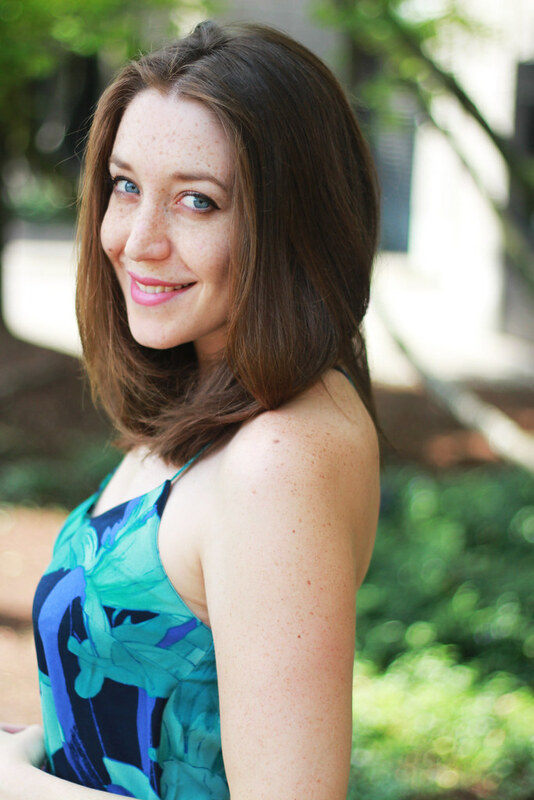 Post-3: Throw on a tropical maxi dress and you're ready to pretend you've just come back from vacation! Welcome to paradise - textured hair that smells like the tropics! I like the contrast - a little more rumpled. It's a good look for you! I don't know if I'm ready to commit to a shampoo and conditioner change, but the way the spray added texture to your hair (I suffer from the same super straight hair) and the way it is scented to take you away to beach vacation days seems worthwhile to definitely try on myself! 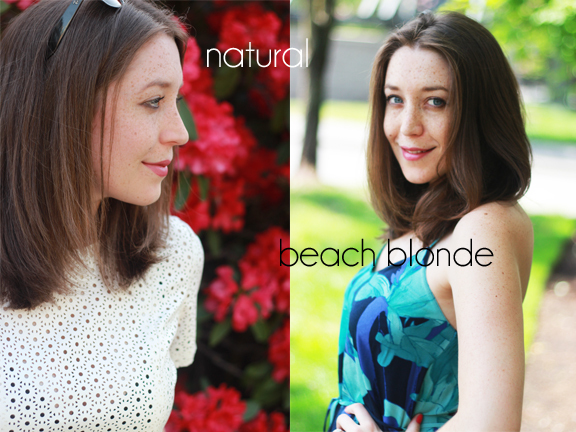 Love your hair and dress, definitely need to try these products! Great tips, you look beautiful. nice post! your hair is pretty! I like it! I wonder if it works on colored hair? Radiant as always. I wonder if this product would work on hair as thick as mine which usually takes a minimum of 45 minutes to blow-dry completely. Thanks for the information. Cheers! You look ready for summer!